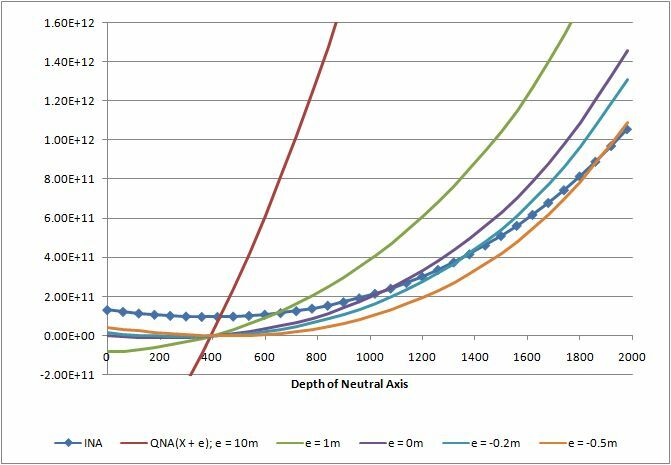 Where QNA and INA are the first and second moments of area about the neutral axis. 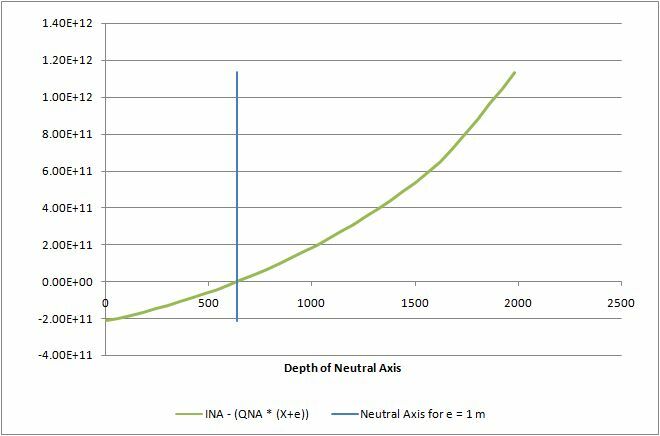 To illustrate this relationship the value of INA has been plotted for a range of neutral axis positions for a typical precast bridge beam, shown below, and compared with the value QNA(X + e) for 5 different values of e.
The intersection of the INA and QNA(X + e) lines gives the depth of the neutral axis for the corresponding value of load eccentricity, e. This is illustrated in the second graph, where the value of (INA – QNA(X + e)) is plotted against the depth of the neutral axis, X, for a load eccentricity of 1 metre above the compression face. The intersection of this line with the X axis gives the depth of the neutral axis for the specified load eccentricity. 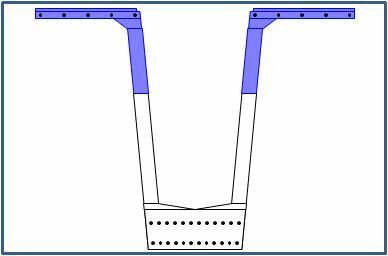 This entry was posted in Beam Bending, Excel, Newton, UDFs, Uncategorized and tagged Polynomial, Reinforced Concrete, Section Analysis, UDF, VBA. Bookmark the permalink.